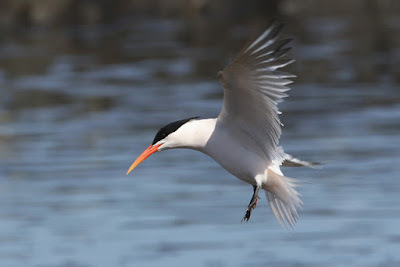 Back in the summer of 1999, I remember heading over to Lady's Island Lake in County Wexford for the second Elegant Tern for Britain and Ireland (following the first, in Northern Island in 1981). 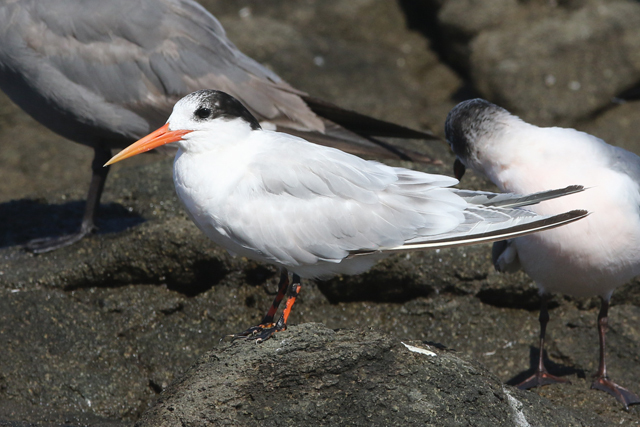 This bird showed nicely in the colony there, displaying everything you'd expect in the species with a whacking carrot bill and white rump. In those days there was still a large element of incredulity that such a Pacific coast species could turn up (with such regularity) over here. 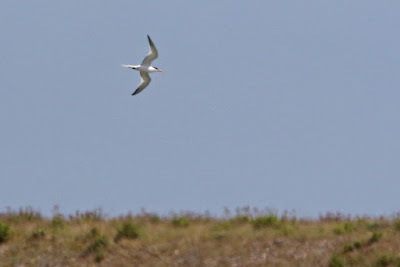 And so the pattern went on, and it was a crazy case of going to see any 'orange-billed tern showing features of Elegant' at that time - just because you didn't know which one was going to look better than the previous! But in essence, they all looked pretty damn good and the likelihood is that the five Elegant Terns I've seen previously relate to less than five individual birds - saw further singles, following the Lady's Island bird in July 1999, at Dawlish in July 2002, Porthmadog a few days after that, then singles in Dorset in May 2005 and a bird at Beale Strand, Kerry in September 2013 (the same place as I saw the Royal Tern last summer). At the same time, in France, they'd managed to ring three of these type of terns (see here for more detail) which culminated in DNA testing they were in fact Elegant Terns. You can't have everything, and being just a couple of hours from London, it made for a pleasant morning out with John A. Loads of nice Med Gulls too, which is always a bonus.